WASHINGTON (CNS) — Two decades since the publication of its first book, the Harry Potter series by J.K. Rowling continues to draw countless readers into its pages, gaining ground among some faithful initially put off by the much-debated themes of magic and witchcraft. Vanessa Zoltan is a co-host of the podcast “Harry Potter and the Sacred Text” as well as a research assistant at Harvard Divinity School. Her podcast claims the slogan, “Reading something you love as if it were sacred,” which characterizes her entire approach to the text of Harry Potter. “Harry Potter seems to be unique in its ability to be treated as something sacred,” Zoltan said to CNS July 10. Her approach begins with the comfort that readers seem to find within in the series. Zoltan points out the vastness of the series’ popularity. The numerous theme parks and multimedia expansions of the brand, allude to somewhat of a “churchlike” experience because of the pilgrimage of sorts that readers can undergo to further engage with the novels. In the podcast, Zoltan and the other co-hosts use the traditional religious scripture practices as a new way of engaging with the tests. One of which is “lectio divina,” a Benedictine approach to Scripture that includes steps of prayer and meditation as part of the reading. Sister Rose Pacatte, a Daughter of St. Paul, is the founding director of the Pauline Center for Media Studies, which aims to teach and train adults and catechists to engage with the media. She also is a movie reviewer for the National Catholic Reporter and St. Anthony Messenger. 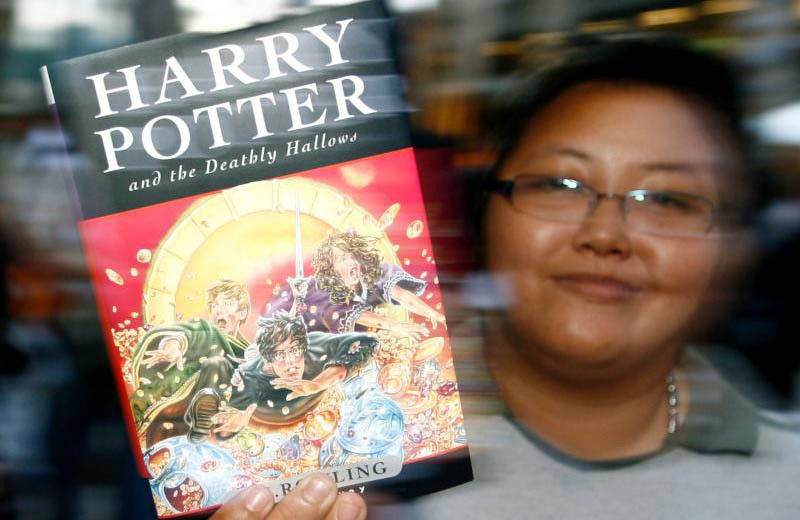 Sister Pacatte told CNS in an interview July 11 the story of some sisters in Boston who would pool their monthly “enrichment allowance” to buy the new Harry Potter books the night that they each came out in the early 2000s. Sister Pacatte draws upon the central theme of love within the series.